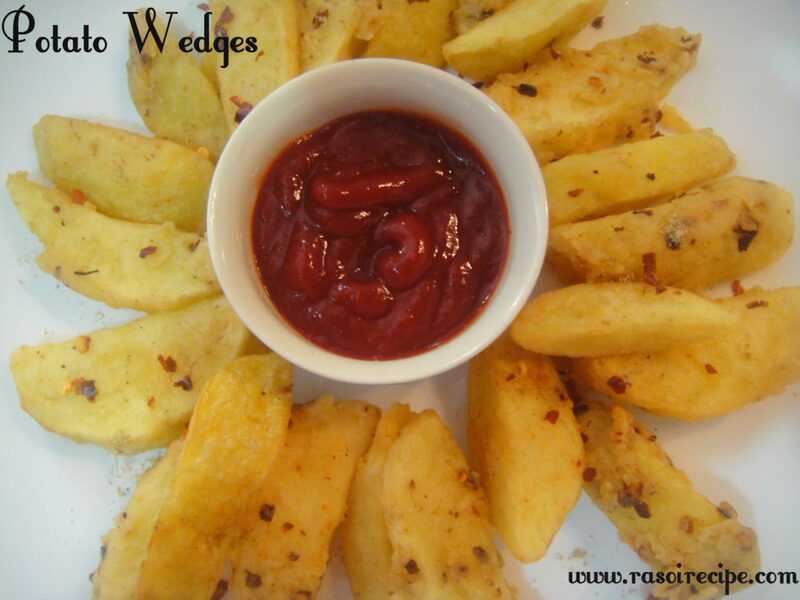 Fried Potato Wedges is a crunchy snack or starter recipe. Potato wedges are one of very popular snack dish. It is a hit recipes among every age group people. In this recipe I have tried to give it an Indian touch with the addition of chaat masala. Enjoy this recipe during tea time with friends or family. 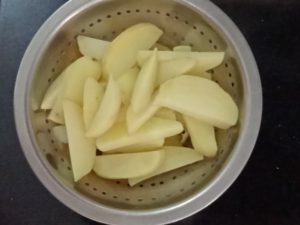 For this recipe, cut potatoes lengthwise in wedge shape. Boil wedges till 3/4th done. 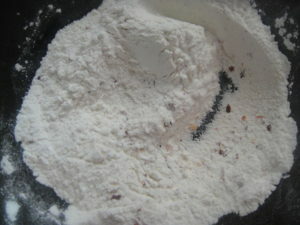 Then coat them with spices and flour mix, deep fry till crunchy and crispy. Serve it hot with ketchup or any dip of your choice. 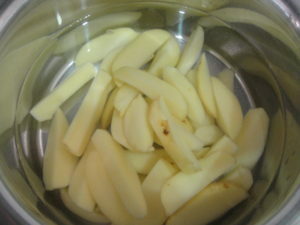 Peel potatoes and cut in wedges. Boil water with salt. Add potato wedges and boil till 3/4th done. 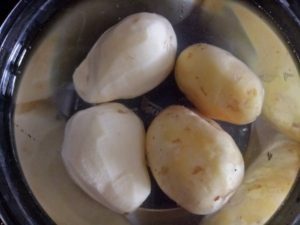 Strain potatoes and let it cool down completely. 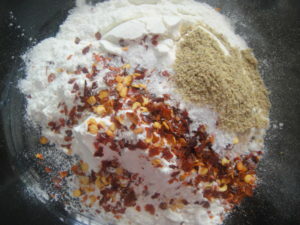 In a mixing bowl take all-purpose flour, salt, red chilli flakes and chaat masala. 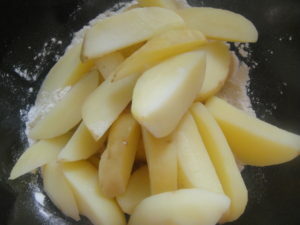 Coat potato wedges with flour spices mix, if you find it dry sprinkle small amount of water. Heat oil. 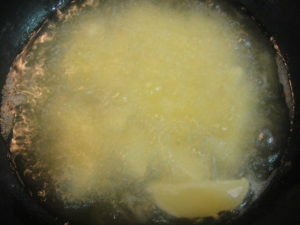 Start frying wedges one low to medium flame for crispy and crunchy wedges. Sprinkle chaat masala on wedges. Serve wedges with ketchup or any dip of your choice. Potato wedges make a nice evening snack! I have made potato wedges just once. That was baked ones. These wedges looks so good!